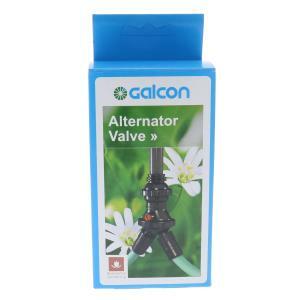 Galcon's unique Alternator Flow Valve is a great accessory for single outlet hose end timers with multiple start times per day. Turns a single outlet timer into a two zone controller. The alternator switches outlets after each operating session allowing the watering of two different zones at different times. Please Note: This is not an automatic timer/controller. It is an accessory to a hose end timer that alternates outlets after each watering session.